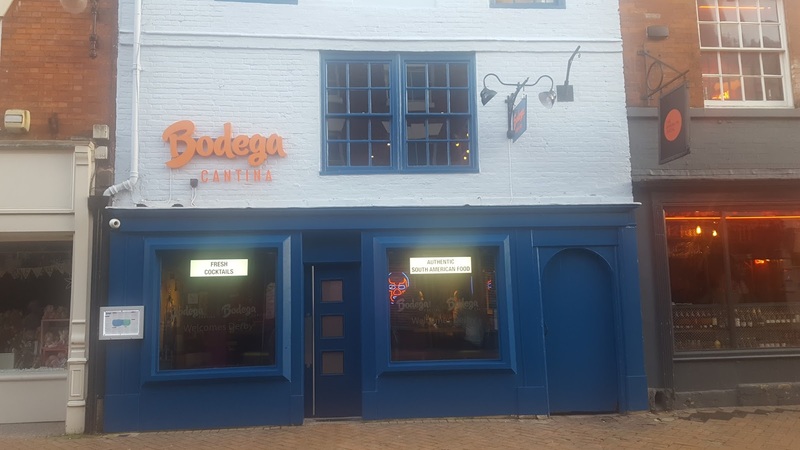 So way back in April I was invited to the opening of the brand-new Derby chain of Bodega Cantina. Due to university work, exams and other 'adult stuff' getting in the way my report of the opening was put on hold. So without further ado let's FINALLY take a look at the (kinda) new restaurant. From what I recall being told it was created by a local artist in Birmingham. This mural sit underneath a sky-light making it a very gorgeous part of the main room. We were brought around little tasters of the food Bodega has to offer and my god they were all so amazing. With almost all their dishes being made on site you could really taste the freshness pushing through the flavour. My favourite dish that I tasted that night was the Pulled Pork tacos, but the real twist was that the meat was marinated in Dr. Pepper. Sounds strange but your questioning would stop when you taste them, absolutely flavourful and tender. 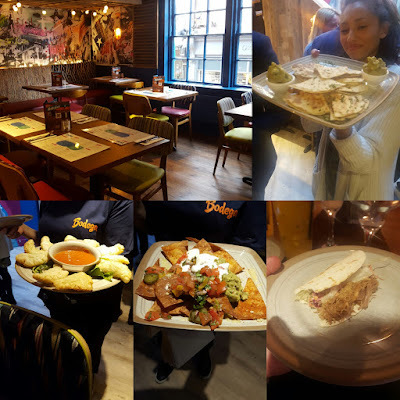 Other items that we tasted included nachos, fritas and coxinhas. Every time a new plate of food came around I found it difficult to say no, it tasted so good. The one thing that caught my eye when looking at the menu were the prices. It's not exactly the cheapest place, especially for a student city. It's a good place to go for a treat every now and but wouldn't be your sort of 'regular' place to go. 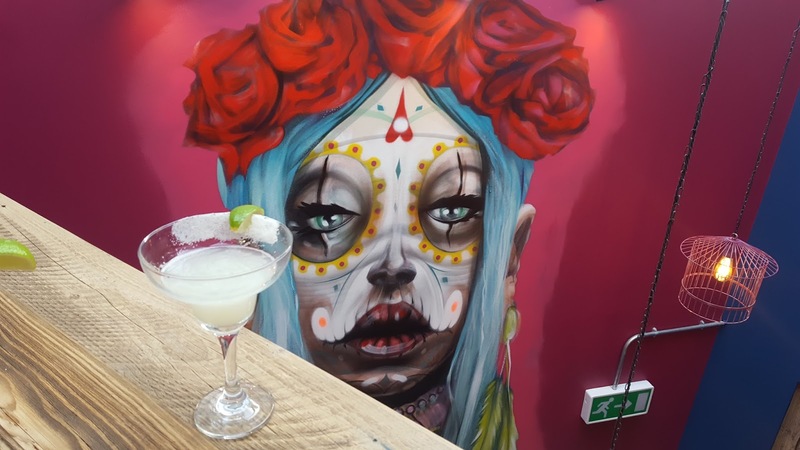 After talking to the owner of the restaurant he confirmed that they never planned to go for the cheap, student vibe and wanted the place to be seen as a once-in-a-while treat. In summary, Bodega offers great tasting food combined with a beautiful design. Great for visiting every now and then if you fancy trying something alternative and different. If you want to try this food out for yourself then please making a booking online or call: 01332 224270.
then please let me know what you thought down below!